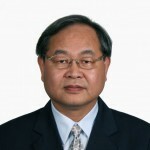 Academic Position Prof. Xu ZHANG is dean of HVAC and Gas Institute, School of Mechanical Engineering, Tongji University. He got his Ph.D. degree in Tongji University in 1997. He is a member of specialist group on New Sources Energy Committee of Ministry of Housing and Urban-Rural Development of China (MOHURD), a member of Teaching Steering Committee of Building Environment and Facilities Engineering of China, a member of Teaching Appraisal Committee of Building Environment and Facilities Engineering of China, a member of the Council of Multiphase Flow Committee of Chinese Society of Engineering Thermophysics (CSET), General secretary and executive director of Shanghai Society of Refrigeration (SSR), a member of the Council of Building Environment and Facilities Branch of China Exploration & Design Association (CNBEF), and vice director of Shanghai Committee of CNBEF, an executive associate editor of Refrigeration Air Conditioning & Electric Power Machinery, and reviewer of several international scientific journals. Other information Prof. Xu Zhang is the PI of several research projects, including National Major Project of Scientific and Technical Supporting Programs of China during the 10th, 11th, 12th Five-year Plan Period, National High-tech R&D Program of China (863 Program), National Natural Science Foundation, etc. He has published about 400 articles and papers on these subjects.